i wish these redneck kardashians would move on up and out of human existence.they are repulsive to look at and even more repulsive to hear what they have to say.extermination is the only option. Wow, that wasn't a very nice thing to say. Enjoy the show, no doubt about it. However, Phil is the least enjoyable part of the show. In fact, he's a black hole. Basically, unlike the other elements and cast, he's very intolerant. Basically if its homeboy, it gets a thumbs up, and anything else is attributed to "yuppies" and disdain. Zero tolerance or respect for anything except Phil's way, so it's not just faith based, its a matter of intolerance in all things. Phil's a liability to the show for that reason. He's not about love, he's about hate, and he expresses it often. I appreciate one's ability to speak one's mind, and it's easy enough to ignore Phil for the intolerant scr3w he is and enjoy the rest of the show... just sayin'. Totally agree with you. The show has become more and more fake, but the comedy is still enjoyable. The only thing that drags it down is Phil's egotism and disdain for anything but himself and his ideals. The show could easily have lost him from the cast and not suffered for it at all. By the accounts of his own wife and children Phil was a really mean drunk for a long time, and just because you find god doesn't make you a nice or tolerant person. I want hot nachos, pizza, and apple pie. Let me have a six pack of Corona. And I'm not even a Republican. Show some respect, a–hole. Are you a tool in real life? You must be a scream at parties. Traciegets caught and now the rant and rave troll shows up. Add that to his list of personalities @ Ed. @tracie. Which one of your personalities makes you troll. The one called tracie or avlarez or sky? Your caught, your day came. You tryed to make everyone hate everyone, why? Ppl blaming ppl for things they didn't do. You get off on that? There you have it, your marquee troll ppl. They should be deleted off of here as well. I'm sick of their sh|t also. Probably grown a s s adults too. That would be pretty sad if they are. You nailed it...the pizza troll is over there (bobcat) and a few others who have reared their ugly heads over hear. TJI won't let them misbehave like you can on the Marquee Blog. They have to be 'normal' there; then they come over here to let their freak flags fly. Yea they're the same person. Look at the times they posted. Minutes apart. They can stay there, don't seem like anyone want them here. I don't. Something wrong with ppl who talk about sh/t all time. I payed them a visit. sounds like pizza boy, eh ? Happy New year my friend. Hope this will be your best one yet. On one of her homes? How many homes does Taylor Swift have? Lol, she probably will write a song about it. What is that top picture supposed to be–a jungle scene or something? 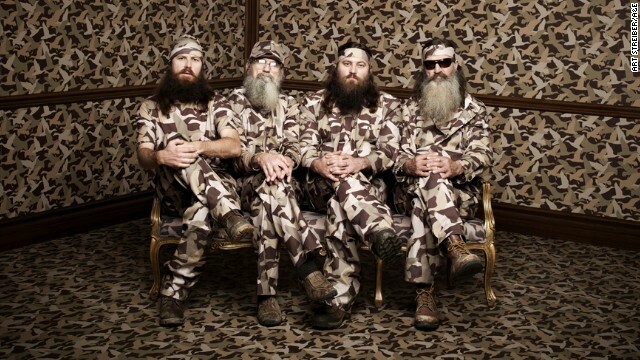 All I see is a bunch of camoflauge.